Convenient, modern remake of traditional dress shield to prevent wet marks on clothing. 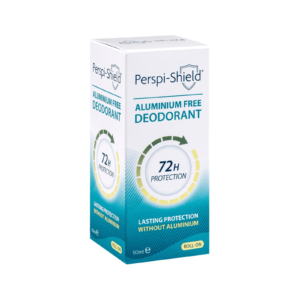 The Perspi-Shield® brand is a range of specialist antiperspirants, deodorants and clothing focusing on a more chemical-free method of protection from sweat and odour. 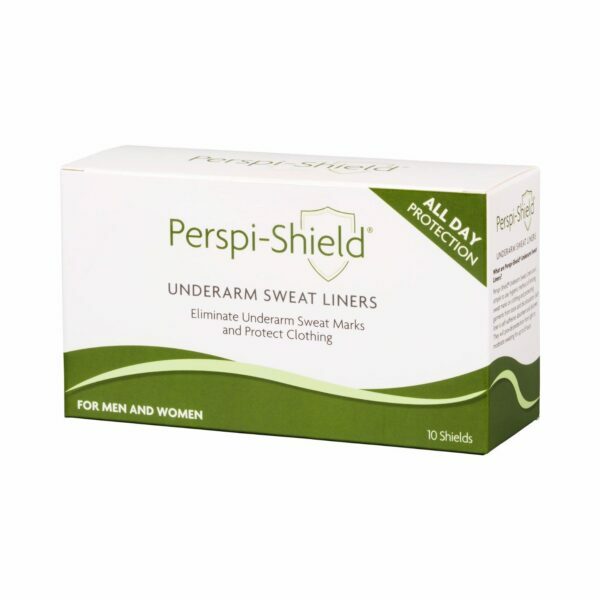 These easy to use underarm sweat liners are a convenient, modern remake of the traditional dress shield. 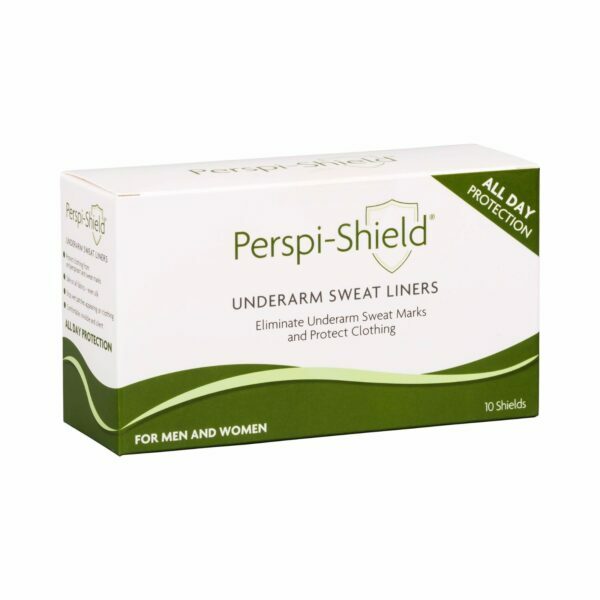 Perspi-Shield® Underarm Sweat Liners are a simple to use, hygienic method of limiting underarm sweat marks on clothing and protecting garments from stains and discolouration. 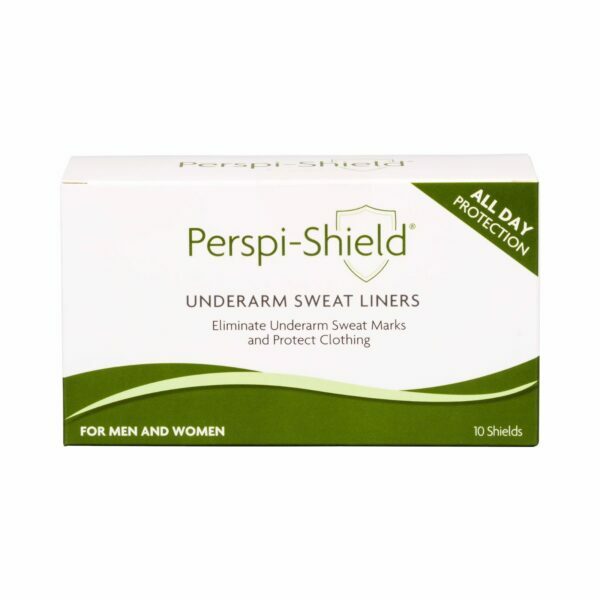 Each Liner is self-adhesive, absorbent and discreet and will provide protection from light to moderate sweating for up to 8 hours. Safe to use on all fabrics, including Silk. The Liners are intended for light to moderate sweat levels for men and women of all ages. 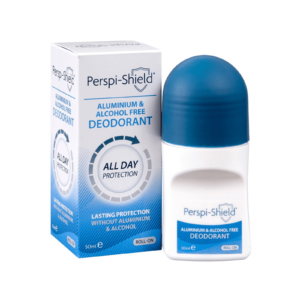 They should not be used to treat hyperhidrosis, or for odour control. 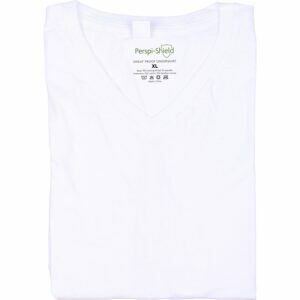 Turn garment inside out to expose underarm seam and place on hard, flat surface. An ironing board or worktop works great! Carefully remove backing paper and place larger half of Sweat Liner on body or lower side of underarm seam, and smaller half on the sleeve side of underarm seam. Then press down evenly and firmly on the liner for 10 seconds then run fingers firmly out to edges to ensure adequate adhesion to garment.